Buying your very first home is a combination of a little excitement and anticipation. You can do all the research you want but until you get ready to take the leap and speak with your loan officer, you’ll soon discover there’s probably a bit more to it than just filling out a form. Yes, you will need to complete a loan application and there are some forms and disclosures you’ll soon receive once you do. But by taking it step-by-step, the approval process isn’t as daunting as one might think. In fact, it’s a relatively simple process. 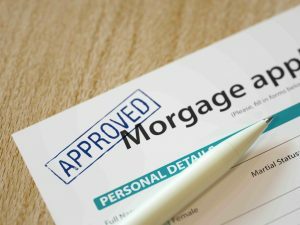 Yet there are some things you should NOT do when applying for your first mortgage to make the approval process an easy one. Perhaps the most important thing to avoid is applying for other credit. It’s not uncommon for a first-time buyer when learning of a preapproval to open up other accounts. After all, if the credit is good enough for a mortgage then it’s certainly good enough for a new car, right? When your lender reviews your credit report, there are actually two separate reviews. One review upon an initial submission and one final review right before loan papers are drawn. Why two separate reviews? A typical timeline for a real estate closing is around 30 days. A lot can happen during that period. The lender issues your preapproval and soon thereafter you find a home to buy. A sales contract is drawn up and the wheels begin to turn. When it’s time to draw loan papers, the lender will review the credit report one more time. The lender is primarily making sure nothing major has changed since the initial approval. If the credit report shows there is a brand new inquiry on your credit report, everything stops. A credit inquiry is an entry on a credit report that shows a new request for credit has been made. But the lender doesn’t know anything about the new account. How much was borrowed? What are the terms of the new loan? Did the borrower ultimately open a new credit account or just making some initial inquiries? When submitting your loan application, stand pat. 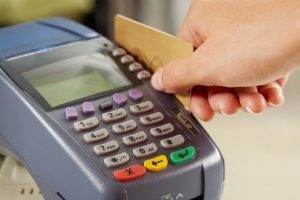 Don’t open up new accounts or otherwise put anything on credit. You want your credit report to look as close to the same as when you first applied. That brings up the second thing to avoid- don’t charge anything on any credit account you currently have. While a bit different than opening up a new credit account, increasing your account balances during the process of a loan approval can change things toward the end, especially if someone is pushing debt to income ratios. If someone currently has a somewhat high debt load but still obtains an approval, adding more to the trade lines could mean having the approval revoked. Avoid sudden deposits in your bank account that are outside of normal. Many first time buyers need a little financial help in the form of a gift from a family member. Let’s say a couple asks mom and dad for $10,000 to help out with a down payment and closing costs. Mom and dad say, “okay” and wire the funds directly to the couple’s checking account. But without proper documentation of the request and the transfer, it’s possible those funds can’t be used in the transaction. There needs to be an approved Gift Letter included in the file stating who is giving the funds, how much and that the funds are not expected to be paid back. Any unidentified funds showing up on a bank statement must have a clear paper trail. Be sure to keep copies of any gift letter, check, deposit slip or anything else you may have. Finally, don’t make any sudden life changes especially as it relates to your employment. Even if you’ve agreed to take on a better paying job at a different employer, stay put. Lending guidelines require there be solid third-party evidence of income. That means copies of your most recent pay stubs covering a 30 day period. 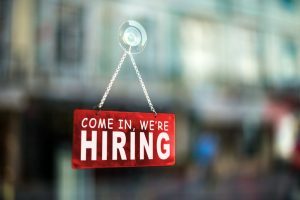 You can already see that changing jobs mid-stream and waiting to get your first paycheck stubs covering a 30 day period will push you past the scheduled closing date. There can be exceptions to this rule when there is an employment contract is issued and signed by the new employer but that’s on a case-by-case basis. If you’re in the situation of considering taking on a new job, you need first explain to your loan officer what you’re thinking about doing. In essence, these four things to avoid simply means keeping your financial and credit profile as nearly the same as when you first applied. Have questions about applying for any of the first time buyer programs? Please connect with us today by calling the number above, or just submit the Info Request Form on this page.